When falling behind on mortgage payments, foreclosure is not inevitable. Since the real estate market collapsed, more than 5% of all homes loans are in default. Today, workout situations are common. Lenders try to avoid repossessing homes, which in turn, bloats their balance sheet with non-performing assets. You may have time to workout an arrangement with your lender. Perhaps a loan extension is available. You may consider a different lender to refinance, focusing on high risk specialists. You may consider a deed in lieu of foreclosure if you cannot make mortgage payments. In every situation, borrowers have unlimited options that include working cooperatively with creditors, settling debts, litigating disputes, and confronting creditors in the U.S. Bankruptcy Court system. Bankruptcy automatically stops all foreclosure proceedings. The mechanism is known as the automatic stay. Each time a case is filed, under any chapter, the automatic stay prevents creditors from collecting debts. The stay provides broader protection by prohibiting repossession of assets, home foreclosure, and the continuation of lawsuits seeking judgments on debts. The stay is not permanent. 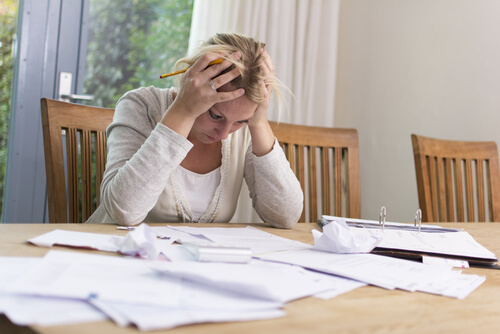 Borrowers who file bankruptcy have two options to bring payments current. In Chapter 7, actual payment is required to prevent the court from lifting the automatic stay. In Chapter 13, the court indulges legal fiction. The inclusion of payments in the plan creates an assumption that payments are current. To maintain a Chapter 13 case in good standing, monthly payments to a trustee are required. Future mortgage payments must be made to avoid foreclosure in all bankruptcy cases. If you home has negative equity, homeowners in bankruptcy should carefully consider the long-term impact of keeping their home. You may surrender your home and treat the deficiency balance as an unsecured debt. All remaining unsecured debts are discharged when a case is closed. Chapter 7 typically lasts about four months unless creditors file objections. Chapter 13 cases last from three to five years before receiving a discharge. Timing a bankruptcy case properly is critical for your success. You may file too quickly or too late to receive the maximum benefit available. If you file too early, you may not qualify for Chapter 7 because of the means test. If you file too late, you may unnecessarily waste exempt assets and potentially incur imputed income. Imputed income creates tax liability when lenders charge off debts. The best bankruptcy strategies begin well in advance of the filing date. In this way, you will gain the maximum allowed benefit and prevent the accrual of non-dischargeable tax liability. If you consider a few advanced strategies, you may adjust debts in a plan and receive a quick discharge by using your options at the proper time and in the proper sequence. Dave Clark enjoys bankruptcy strategy questions. Can bankruptcy stop foreclosure? Find out more why Chapter 7 bankruptcy stops foreclosure temporarily through his website.